Ivanka Trump has been pushing to obtain trademarks for several of her products abroad, and now she has won 13. China approved the first daughter’s company for its 13th trademark over the last three months. According to Politico, China’s government has also provisionally approved eight other trademarks. The goods registered by Ivanka Trump Marks, LLC reportedly include baby blankets and bathmats. Among the other products Ivanka, 36, promotes are clothes, perfume, and other home and bath items. Although Ivanka took a break from managing her brand upon becoming first daughter, she placed the company’s assets into a family-run trust and is still profiting from the business’s sales. In February 2017 — just weeks after President Donald Trump took office — White House counselor Kellyanne Conway plugged Ivanka’s brand in a television interview with Fox News. “Go buy Ivanka’s stuff,” Conway told Fox & Friends at the time, before adding that she owns some of the line and that she wanted to give a “free commercial” for it. Conway’s statements raised concerns because many experts said that by saying this, she violated federal ethics rules. These types of regulations dictate no government employee should ever use his/her office for personal gain by endorsing products or services or in any other similar way. Meanwhile, there is also concern that Ivanka has not fully divested from her company, something that raises questions about potential conflicts of interest. Other members of the Trump family, including the president himself and Ivanka’s husband Jared Kushner, have also only partially separated themselves from their businesses since taking roles in the White House. China’s approval of Ivanka’s product trademarks is particularly noteworthy because the Asian nation and the U.S. are in the midst of an increasingly tense trade war. Trump recently changed his position regarding the ban of exports from Chinese electronics firms ZTE. The president initially said he had considered imposing dozens of tariffs on Chinese goods, but earlier this month said he wanted to help save Chinese jobs. Some clothing retailers like Nordstrom dropped Ivanka’s fashion line early last year, and her father became very angry, even to the point of attacking Nordstrom on Twitter. 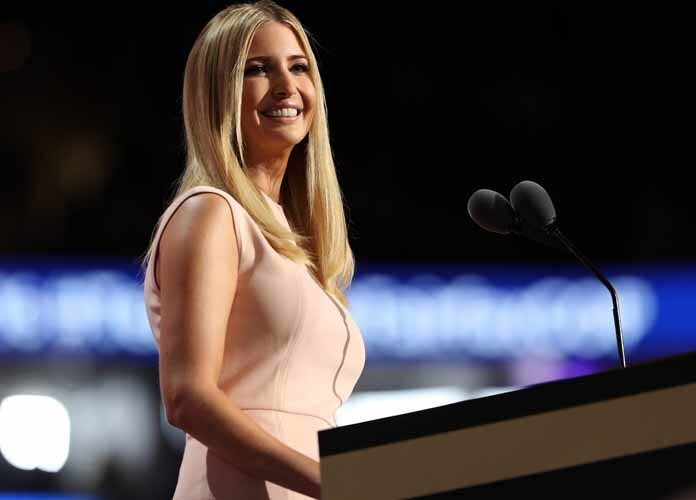 According to the World Intellectual Property Organization, Ivanka Trump Marks, LLC has also won three trademarks in the Philippines since her father became president.